Wandering through the arboretum today on my birthday, May 16th, I finally saw my long-awaited dream. 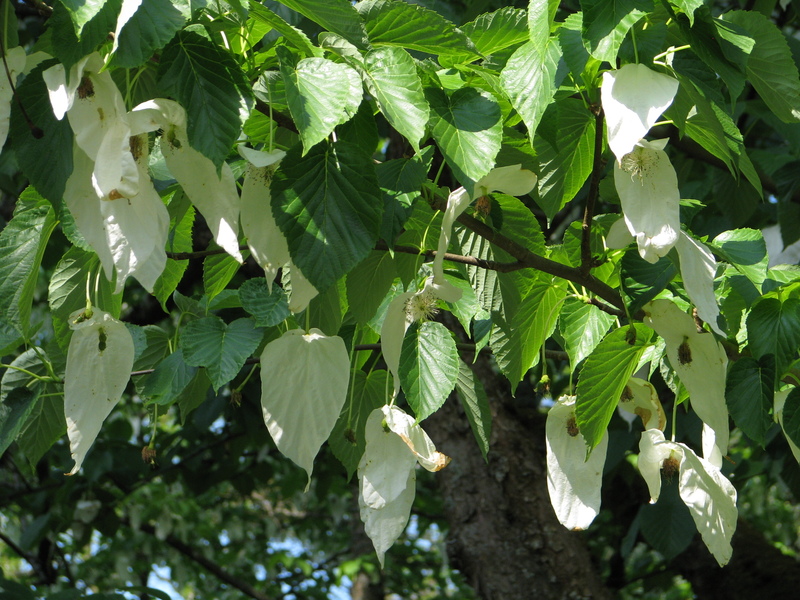 The Dove Tree, The Handkerchief Tree, Davidia involucrata in full bloom! So beautiful! Don’t miss this one! Last year I did miss this one, when I visited the Arboretum. It was early July and I was on a special trip just to see this tree. I went looking for the bloom, and it wasn’t there. 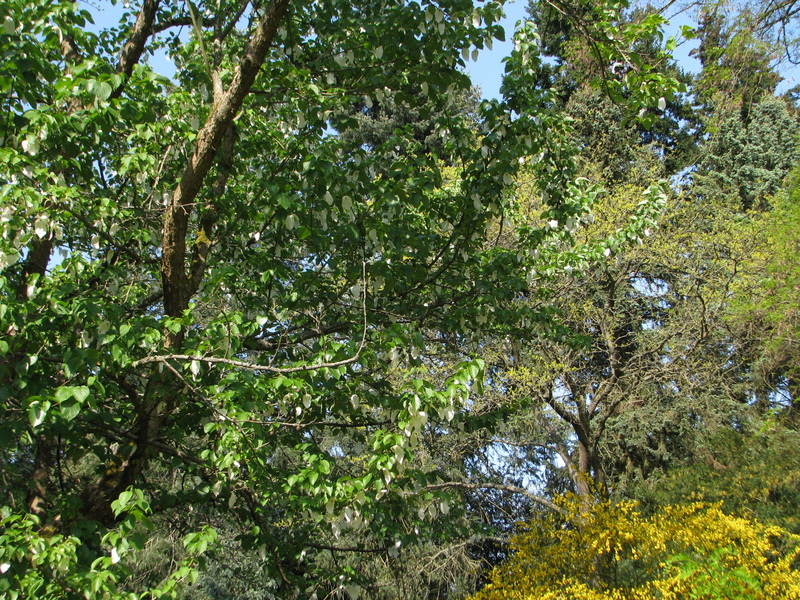 This year I just happened to be walking through the arboretum, with no specific purpose in mind, but to enjoy the sights and scents all around me, when, as if out of nowhere, this tree was right in front of me. I had never noticed this specific one before, so I wasn’t expecting it or waiting for it. But there it was and I recognized it immediately. Doesn’t this happen to us all the time? When we want something, when we long for something, when we search for something, it’s just not there. We can’t find it. We try too hard. But when we immerse ourselves in life, not actively seeking, but becoming part of it, suddenly what we wanted is ours for the taking. Completely unexpected, the pieces fall into place. So easy life becomes when we stop trying. This funny life. Grows to 20m or 70ft. Thank you, I hope you can see one someday! Happiest of Birthdays Elaine. It seems to have been a grand day and you look great with your tree…what a unique tree it is too, like the gardener hugging it! Thanks Donna, Happy Birthday to you too this month!!! Hope you had a wonderful birthday. Your posts are always interesting, but this is certainly a unique feature. 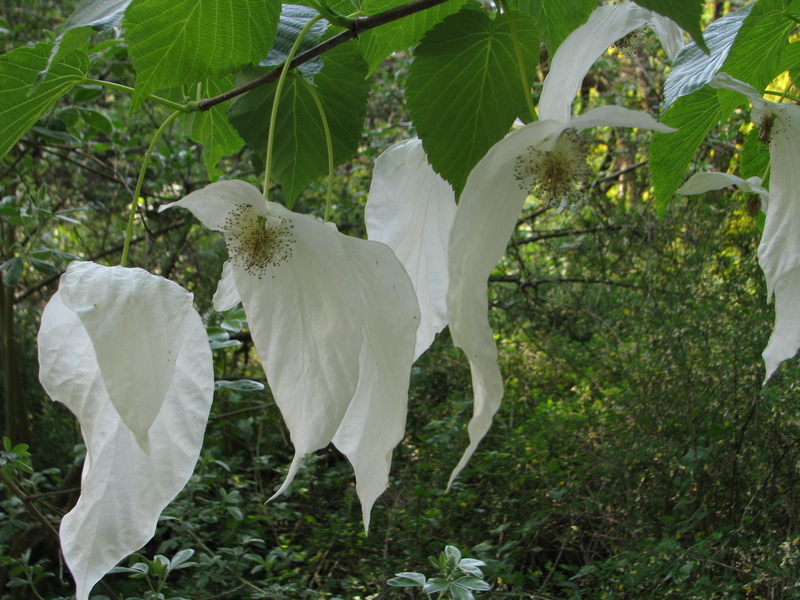 This tree’s bracts look more like handkerchiefs than doves I think, but I like both names. Yes, they do look like little flags, waving in celebration! Glad you enjoyed! What an amazing gift — and I can certainly understand why you are so enamored with it. Lovely. Happy Birthday. I love your tree! I planted a 10+ dove tree 3 yrs ago. It provides me blooms aplenty. In fact this week it bloomed again! This crazy CA weather is confusing my tree! 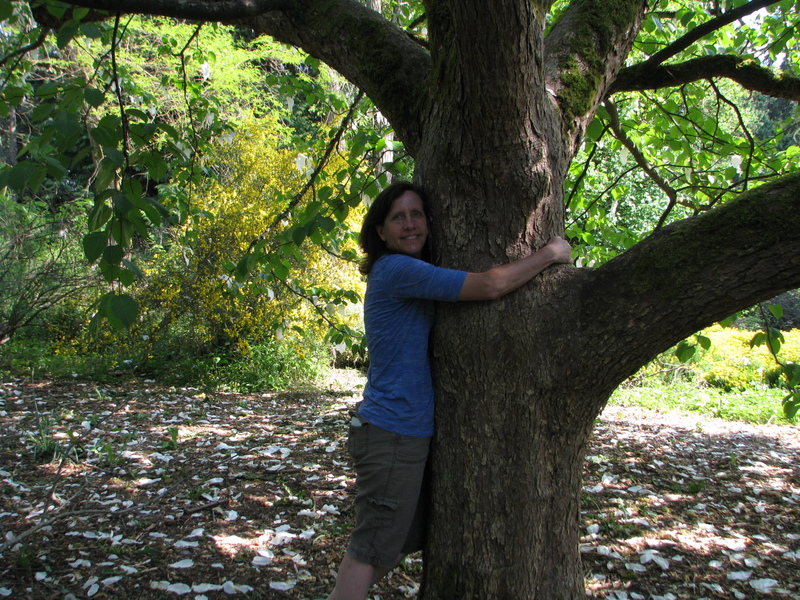 I smile whenever I think of this beautiful tree. Enjoy your double blooms! Plants are crazy sometimes.